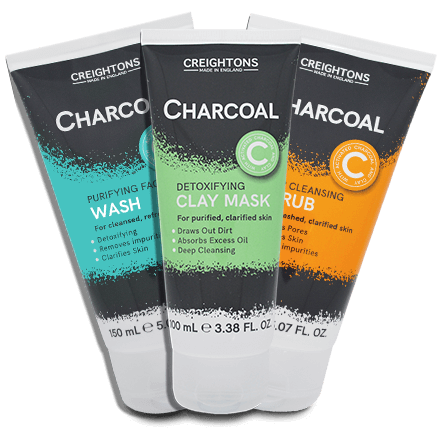 Creightons Charcoal Skincare range is perfect for purifying, detoxifying and cleansing skin. 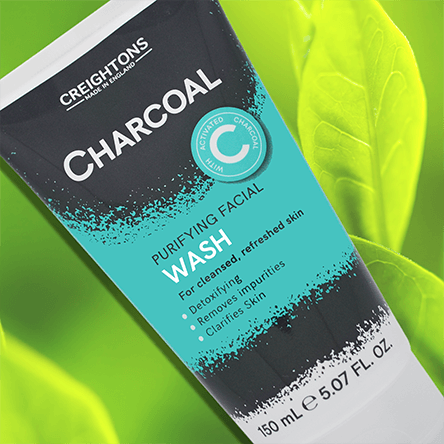 Formulated with activated charcoal, it provides cleansed, purified and refreshed skin. Activated Charcoal and Kaolin Clay combine to draw out dirt and impurities. The range includes a Deep Cleansing Scrub, Detoxifying Clay Mask and Purifying Face Wash.
All Creightons Skincare was made and developed in England.